A few weeks ago my friend Elise and I went to the Atlanta Gift Market. While we were there we discovered the Charleston-based brand Produce Candles and the brand manager Sara Crosby. Sara and I clicked right away. She had great style and was very passionate about their products. I brought home a few candles and have really been enjoying them. I have "Kale" and "Carrot." The concept behind the candles is that the scents are inspired by the harvest. They come out with seasonal lines, and each candle is hand crafted out of natural soy wax. I've been burning the candles in my office and kitchen, and the light fresh scent is wonderful! I reached out to Sara and asked her to participate in the 10 Questions Series so we could learn all her local Charleston secrets. One of the best things of working at the candle shop, is our opportunity to dream big and take on new projects and passions. Everyday is a new day, and no one day looks exactly the same. Whether it's a normal 9-5 in the office answering emails from our awesome retailers in the bean bag loft, an off site day at a local farm gathering content, or meetings with our graphic designers - life is good on the farm! Kate Middleton. Timeless, classic, and perfect. Lulie Wallace. She's a Georgia gal, but a College of Charleston one too - and now works and lives here in Charleston. Hmm - my heart is divided here so I'll give you two answers. 1. A night spent on the dock of the creek, crabbing with wine in hand, barefoot and a little sun burnt. Then making dinner together and enjoying the porch. I know this is probably not the kind of answer you're looking for! 2. Strolling downtown Charleston and stopping at Bin 152 for a glass of wine and cheese plate (I have a over the top cheese obsession). 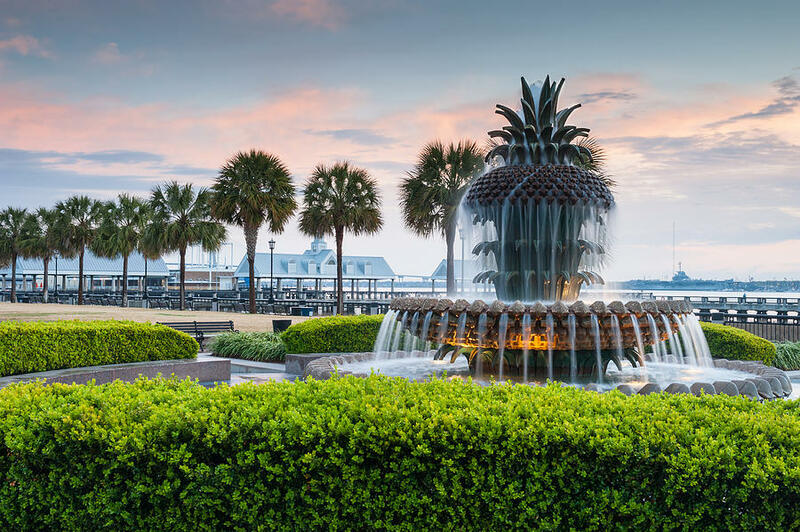 Followed with a fresh southern meal at Husk, and Waterfront Park strolling with praline samples in hand from the Old Charleston City Market. Hidden in the Old Village of Mount Pleasant, and a short bike ride away from my house this is my go to for gifts and accessories. Oh, and not to mention their own floral design/event rental business next door. Swoon. A veterinarian. This is until about age 12 when I realized I would have to actually work on other animals aside from dogs, and cute puppies. 7. Please provide a link to your favorite recipe to cook at home. If you are not a cook could you please provide your favorite drink recipe? Pimento Cheese Stuffed Fried Chicken. So incredibly bad for you, but hey - we're Southern. My ticket to the top of the Eiffel Tower. As a few fellow candle guys and gals and I explored Paris on our free days from a trade show, we debated whether it was worth it. To pay the money to go to the very top on that rickety makeshift elevator or keep exploring? I'll never forget sipping champagne and overlooking the Seine! 9. Where is your favorite place to buy things for your personal home (online or a store)? Celadon - a local, eclectic gem. "Quality, solid-wood furniture built with clean, simplistic, European lines are the bones, while unique found objects from buying trips around the world give this locally owned store a global point of view and bohemian flair that feels anything but contrived." To serve those around me more willingly and lovingly. Oh, and pull off a big ole' southern wedding while still working full time!